What steps were required to go from bucket list to live on the web. Today is a little less of how to and more of an insider’s look at my process. 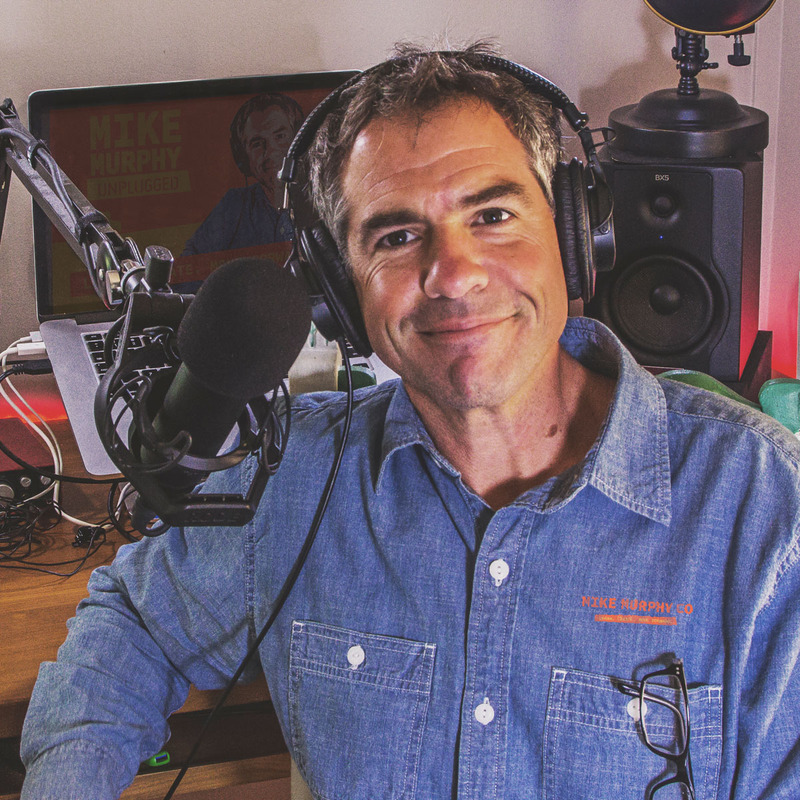 In this week’s The Podcaster’s Toolkit: The Zoom H4N Pro. An audio classic! The Zoom H4N Pro is a Handy Portable Recorder. You can plug 4 XLR microphones into it and it has a built in stereo microphone on top if you do not have a microphone to plug in. You record on to a memory card just like your camera. What is cool about the Zoom products is you can use it as an audio interface too. I highly recommend this product with high confidence. My why for starting Mike Murphy Unplugged podcast was to share my knowledge of tools and gear and resources and help other one man bands and creative entrepreneurs figure things out right along side of me. PodcasterToolkit.com is the website that was in my head when I started my online business and podcast and looking back, what I wanted my first weblog to be. A well-organized website of carefully curated tools and resources that I enjoy and think others will find valuable. This website is a one stop shop for one man bands to learn what they need to know to get stuff done. No fluff all good stuff. The Blog will be loaded with very instructional how-to and practical articles about podcasting and related areas. Tip:Repurpose everything. My podcast scripts will be converted to blog entries. The Shop: will be all podcasting and content creation gear with direct links to Amazon. The Tools: will be all of the business and productivity and software tools I use and love like Freshbooks and Scrivener and Elegant Themes and Lynda.com for learning. If I use it, expect it in the toolkit. Tutorials & Videos: Building a video library on YouTube is another major priority and I’m chipping away at it. Planning: What is the purpose of your website and what do you want it to do? Web Hosting: BlueHost Because I already have an account I can create unlimited number of sites under one account so that was easy. Theme: Extra Theme which is very similar to Divi by Elegant Themes only it is more magazine style and is built for lots of content. Podcaster Toolkit is content heavy and Extra is just what the doctor ordered. Domain Name: Go Daddy I am embarrassed to admit just how many domains I own. Tip 1: Buy different variations of the domain. I own podcastertoolkit.com and podcasterstoolkit.com in case people spell it wrong. Tip 2: Forward domains you are not using to your active sites in case someone does a search at least the unused domain will serve some purpose. Create a Folder to have one place to add the theme files and all of my assets which I hadn’t even created yet. Big Tip: Stop over thinking and start. Baby steps. Get your idea and simple plan and start plowing through. You have more work than you know. It does no good to just think and plan forever. You have to start. Branding & Logos Be swift and don’t get hung up here. Type logos are fine. For Photos Management: I use Adobe Lightroom & I love Collections. Don’t wait until it’s all done. Just hit publish and flush it out as you go. To get started on a new website or idea, start.